Sonavith Company brings the first international children’s apparels to Cambodia’s market. Château de sable comes from the French designer’s spirit, Stéphanie Lemaire. Coming from a family working in the textile industry, design and creation were soon running in her blood. She wanted to create a collection representing both childhood innocence and joy and named her brand perfectly as “Château de sable” means sandcastle, the preferred activity of children along the beaches. Stéphanie develops her concept with a dedicated hallmark: great attention to details and an uncompromising dedication to quality. 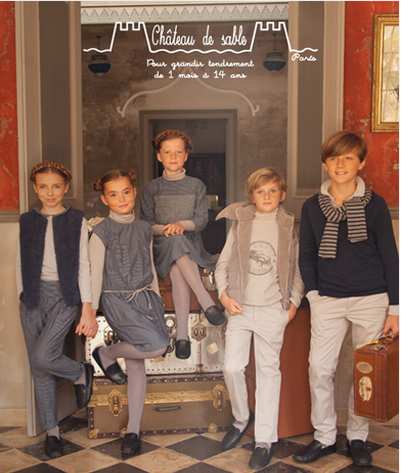 Through “Château de sable” line of clothing, Stéphanie seeks to combine rich creative French tradition and modern excellence in order for your children to look like children and let them grow tenderly. The 1st Chateau De Sable shop has been established in late 2013 at TK Avenue, Toul Kok, Phnom Penh and the 2nd shop at Aeon mall first floor central hall, Phnom Penh in mid 2014. PAZZION caters to the modern, sophisticated trend-setter with an uncompromising standard for taste and quality. High-caliber craftsmanship and an unwavering attention to detail mean each shoe is painstakingly designed to bring you the best in style and comfort. A wide range of women shoes from casual sandals, essential ballerina flats, classic high heels to elegant bridal heels ensures you’ll find the perfect shoe for any occasion. All our shoes are crafted from quality leather so you can stride with confidence and ease. Other leather goods such as fashionable shoulder bag, timeless clutches, trendy hand-carry totes and purses is also available in PAZZION. Shop online at the ease of your own home for the latest shoes and bags from PAZZION today! Sonavith Company together with Savy Company brought the franchise of Pazzion to Cambodia in 2014 and by early 2015 the 1st outlet of Pazzion was opened at the Vattanac Capital, Phnom Penh. Gift Corner is really nice little souvenir shop. Small, old, cramped but lots of cute little souvenirs for folks of all ages. It is located just inside the TK Avenue, Toul Kok, Phnom Penh.